Vallegrande, capital town of the province of the same name in the Santa Cruz Department, is located 244 km. from the city of Santa Cruz. Founded on March 30th, 1612 by the rural teacher Lucio Escalante, Vallegrande was first named “Jesús y Montes Claros de los Caballeros". 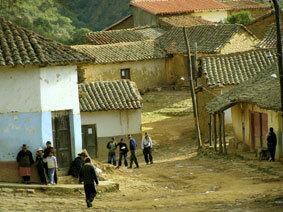 Vallegrande is known worldwide because it was here where Argetine/Cuban guerrilla Ernesto "Che" Guevara met his end. Che and his ragged group of revolutionaries fought in this area and were eventually killed or captured nearby in the 1960s. Located at 2,030 meters above sea level, Vallegrande is surrounded by mountains and the town and nearby vallyes range in climate from chill to hot depending on season, time of day and altitude. The town itself is rich in local folklore and traditions and has maintained its original adobe houses and dirt streets. 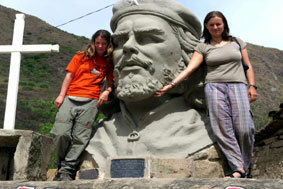 All visitors should consider the famous Che Guevara Trail. 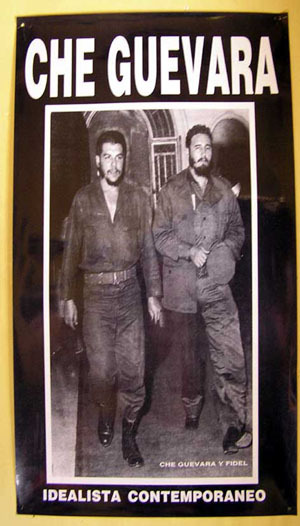 The fame generated by Che’s guerilla campaign here in 1966 and 1967 has led to the creation of wide interest in a “trail” between the various important battle sites between his band and the Bolivian army supported by the CIA. 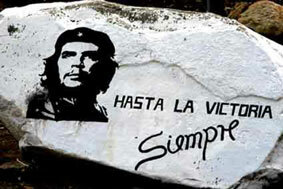 From Vallegrande you get easily to the places where Enresto "Che" Guevara walked along. This historic trail begins at Ñancaguazú and continues through Iripití, Muyupampa, Samaipata, Vado del Yeso, Masicurí, Alto Seco, Quebrada del Yuro (where Che was captured) and La Higuera, where he was murdered. 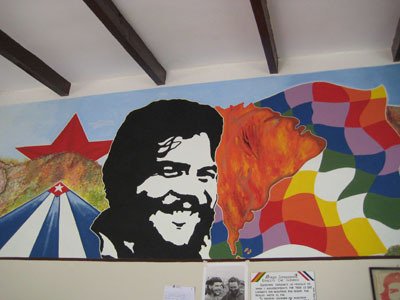 Numerous objects from Che’s guerilla group are exhibited in the town’s museum of Vallegrande for visitors to see. In La Higuera visitors can stand inside the school building where Che was bound and shot. While in life Che was not appreciated or supported by locals, in death he has become one of their most appreciated figures. 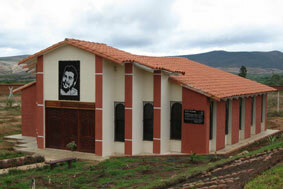 Visitors can also visit the mausoleum where the mortal remains of Che Guevara were recently relocated to rest. Among other features of Vallegrande are its many rivers and creeks, and its beautiful areas like Pucará y La Quebrada del Churo near to Postrervalle. This region also hosts numerous pre-historic cave paintings and ruin from little-studied pre-incan civilizations. The many cave paintings and petroglyphs near Vallegrande are essentially zoomorphic, anthropomorphic and geometric figures that remain enigmatic to the researchers of today. The first humans to inhabit this area left their marks as testimony to their lives that now serve as riddles and inspiration to visitors from all walks of life. This is a great cavern located roughly 50 km. from Vallegrande and hosts ancient zoomorphic figures painted in red. Another site located roughly 50 Km. from Vallegrande that exhibits pre-historic anthropomorphic and geometric figures. Located 19 km. from Vallegrande, these caves have a broad range of zoomorphic, anthropomorphic and geometric figures painted by ancient hands on the walls. Located 19 km. from Vallegrande this interesting site also features impressive zoomorphic, anthropomorphic and geometric figures. Located 10 Km. from Pampa Grande and 5 Km. from the village of Mataral, this cavern has pre-historic anthropomorphic masks exquisitely carved into its walls. There are also numerous zoomorphic and geometric figures to see. For information about tours to the Vallegrande and along the "Ruta del Che", please visit our tours section.